Not surprisingly, the pace of modern life has redefined “mealtime” for millions of people. Nearly 40% of consumers report that snacks serve as at least one of the three major meals of the day, and 91% polled for the same study acknowledge snacking multiple times throughout the day. With increasing reliance on snacks as meals, it’s safe to say that gone are the days of traditional breakfast, lunch and dinner. It also explains the rapid growth of the healthy snack segment, which is easily outperforming the balance of the food and beverage market with sales expected to crest $25 billion by 2020. 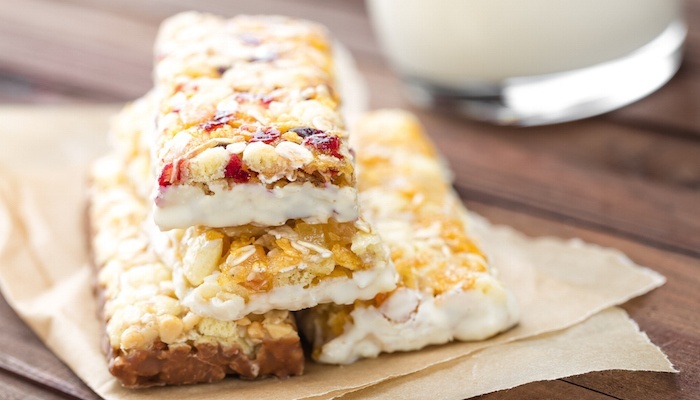 Portability makes healthy snacks particularly attractive to the on-the-go crowd, as does nutritional value — which many food and beverage manufacturers have already taken note of, developing snack formulations that showcase healthful ingredients. For example, protein-rich smoothies, sports drinks, granola bars and yogurt are already proven winners with consumers. However, demand for additional functional and nutritious snack food options continues to grow as consumers are getting even more savvy about nutrition, clean labels and the value of protein, fiber and whole grains in healthy lifestyles. This presents food manufacturers with opportunities for reformulating popular snacks and bars to include ingredients that pack a nutritive punch, including adding protein to applications, which is sought after by more than half of Americans for its ability to satiate hunger and boost energy. If you are thinking about reformulating to capitalize on this trend consider using whey protein. Two of our popular whey protein solutions include Grande Bravo®, which enhances and often improves the flavor and texture of products that would otherwise contain full-fat cream, butter or cream cheese, and Grande WPCrisp®, with a crunchy texture that complements the taste of your snack or bar’s primary ingredients. Our expert team of food scientists is eager to help you innovate. Find out more about one of our functional ingredient options mentioned above by downloading our Grande WPCrisp Product Information Sheet. Click the button below to get your free copy.